With the end of the year quickly approaching, I find myself looking back on the past year… mistakes made, lessons learnt, that sort of thing. I love this aspect of life… that we are always growing and learning. No one year looks like the next. Well, it doesn’t have to, that’s for sure. We were gifted with choice and the ability to change and (most importantly) adapt to that change. So to help me get my house in order, I picked up two insightful reads (sent to me by Christian Art Media) and I really want to give one of them to one of you! Firstly, do you guys know who Priscilla Shirer is? Well, she is the lead actor in the amazing Christian blockbuster War Room and is an author, motivational speaker, actress and evangelist. 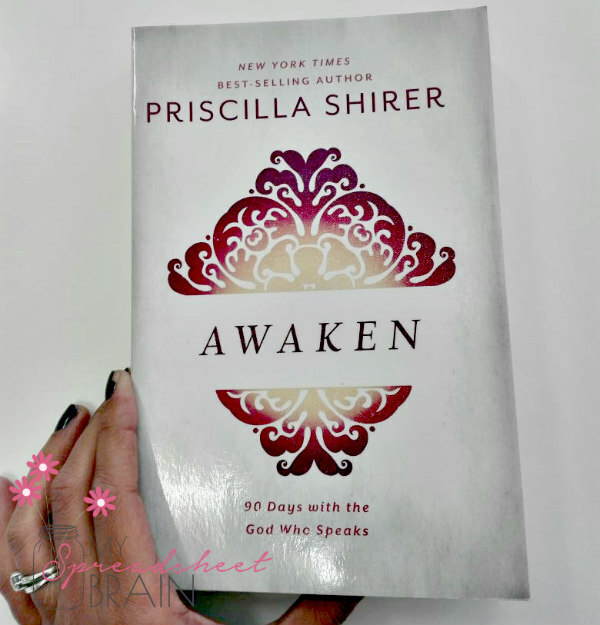 Priscilla has inspired me, since watching that movie, and I was super keen to hear what she has to say in her new devotional book called Awaken. The 90-day devotional will have you reading with intention. In fact, the back of the book says that “this kind of reading is not merely for the purpose of leisure and enjoyment. With this kind of book you’re praying for something more – to hear from God, receive His direction, and be refreshed in the depths of your soul.” Uhm, yes please! Each day has a dedicated message with the sole intention to equip you to better hear God’s voice, empowering you to make sound decisions about the rest of your life. I needed this for 2018! 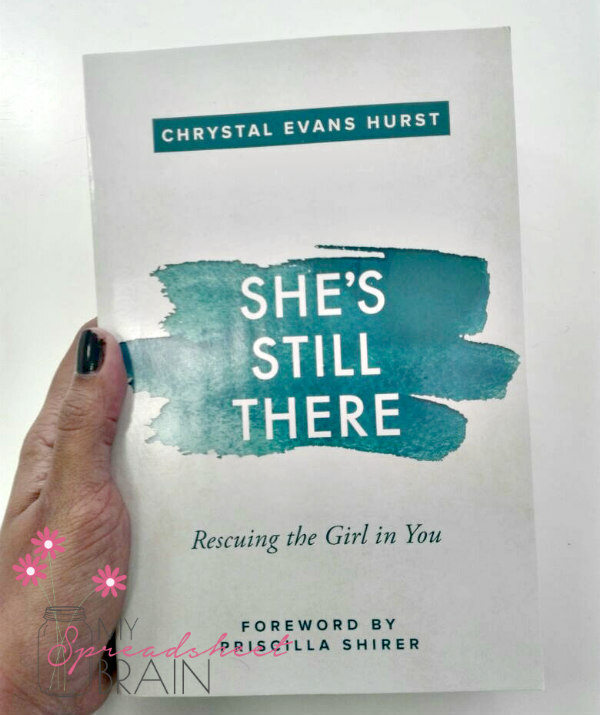 In She’s Still There, Chrystal shares the secret to loving and honoring your life… even if your story is messy. She speaks about her teenage pregnancy and struggles with her weight. Man oh man, I can relate with so much of what she has to share! When I opened the book and saw the title of the first part called “Fight for your life”, I could immediately feel the hairs on my arm stand on edge. Isn’t that what we feel we constantly need to do, ladies? We’re always fighting for our lives… for our happiness… for justice, acceptance, sometimes even for love. 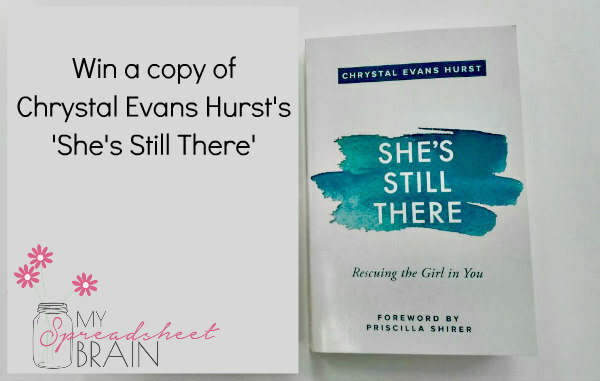 This book will equip you to reject the lie and move forward. Expect to be equipped and refreshed! Giveaway! Can I please give this book to one of you? Consider it a Christmas present! To enter the giveaway, simply make sure you’re following my Facebook page over here and drop a comment on the specially marked post (like the one above) letting me know what you find the most interesting about it. I’ll draw a winner on Monday, November 20th at midday and will do an announcement on my Facebook page.